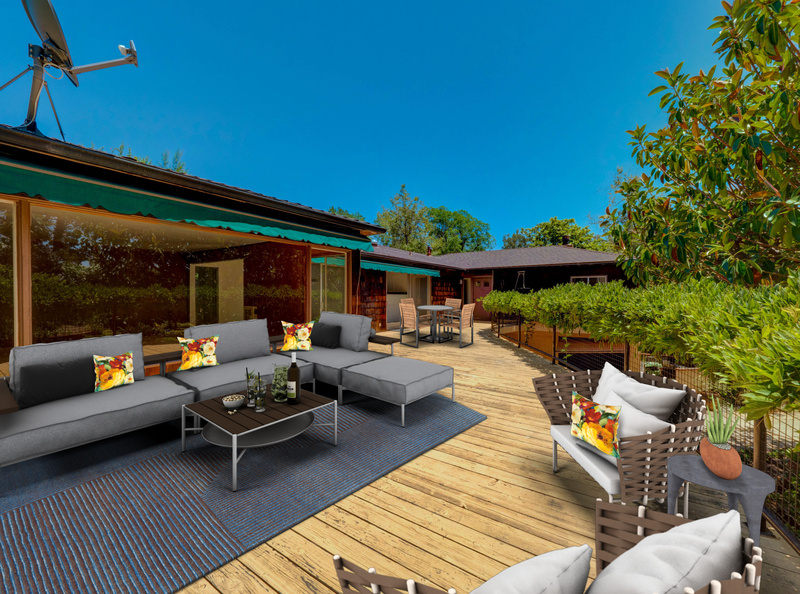 One of the first homes to be built in the exclusive Will Rogers enclave, this is a showcase of the Mid Century aesthetic. 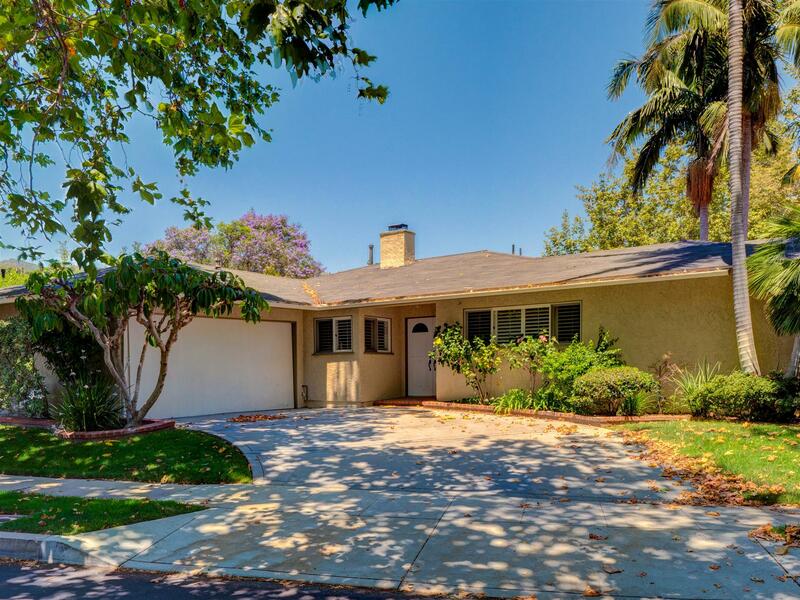 Situated at the end of a quiet cul de sac on a large lot, this single level home has been remodeled and updated to an exquisite standard. 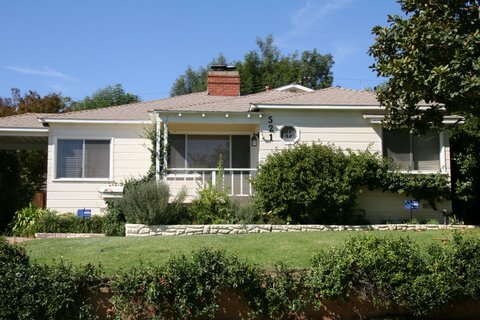 Great Huntington Palisades location, close to the Village, park and schools. Elegantly renovated, one story home with hardwood floors, new kitchen and baths, and an open floor plan with wonderful entertainment flow. Master is en suite at the rear of the home, and the two other bedrooms share a bath. Living Room doors open to the spacious yard with a pool. Washer/dryer in the garage. 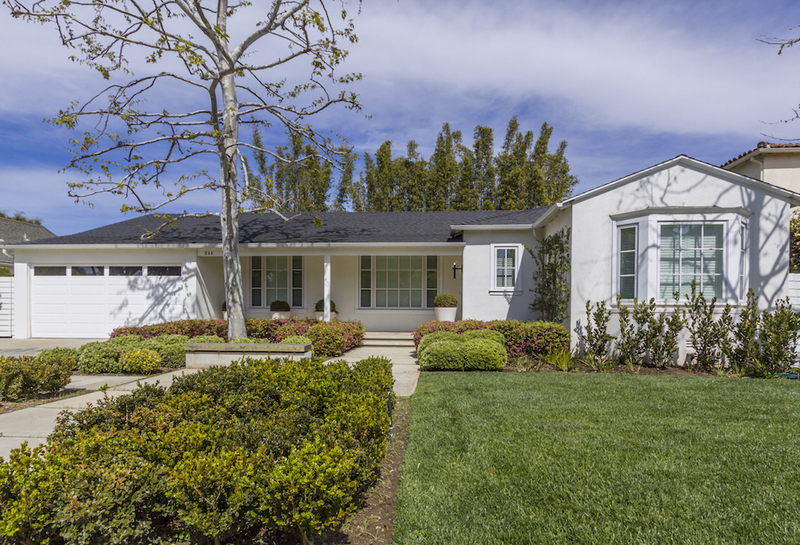 This spacious traditional home boasts one of the best Palisades bluff locations. 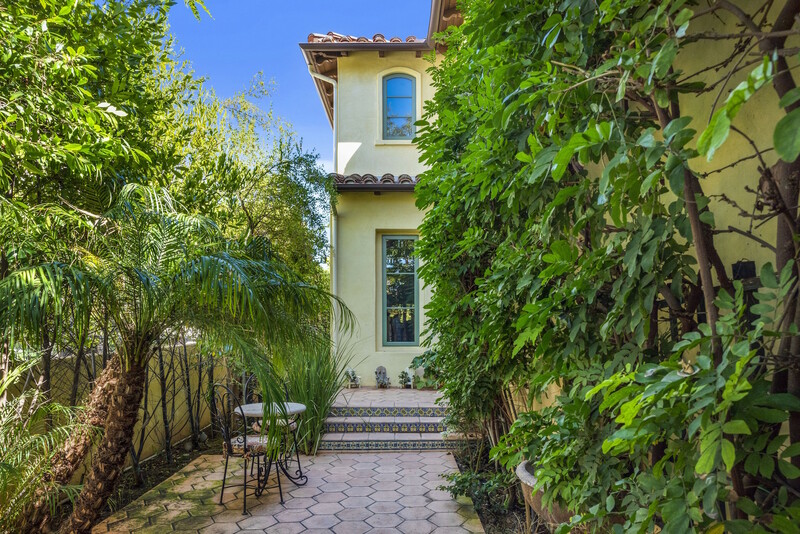 The picturesque frontage and entry leads to LR and Dining Area w/ h/wd flrs. The kitchen opens to the Fam. Rm with sliding door to the the back garden. 3 bedrooms, 3 baths and den/office downstairs. Master Suite w/ balcony upstairs. Alley access to 2 car garage. A great home in a fabulous location. This recently updated, corner unit in the Michael Lane Villas has wood floors, high ceilings, abundant light, and vistas of mountains and treetops from three sides. The newly remodeled kitchen with a center island has brand new cabinetry and counter tops, new stove, dishwasher and wood floors. The large master suite has a walk in closet and a private balcony. 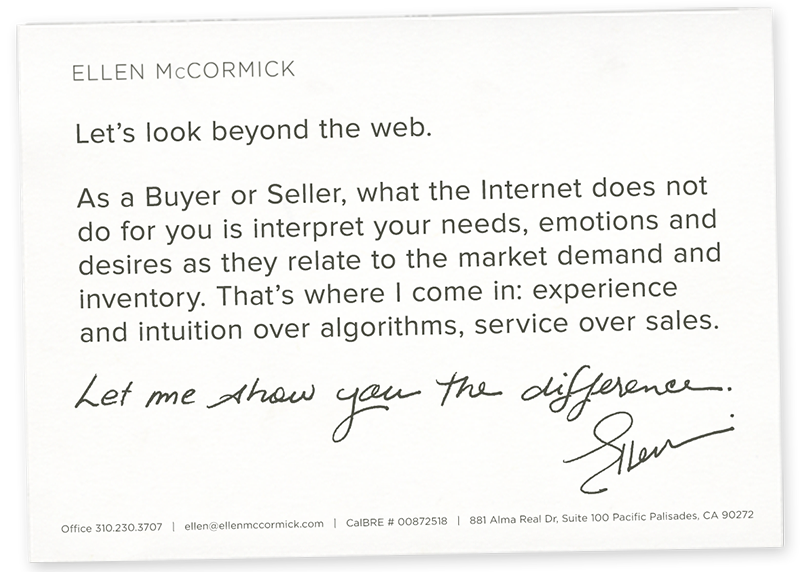 I had the distinct honor of representing the family that recently purchased this exquisite home in your neighborhood. First, they fell in love with the house, and then were won over by the convenience and charm of the location. A perfect fit. Great value, close to the village and bluffs on a large lot with pool. 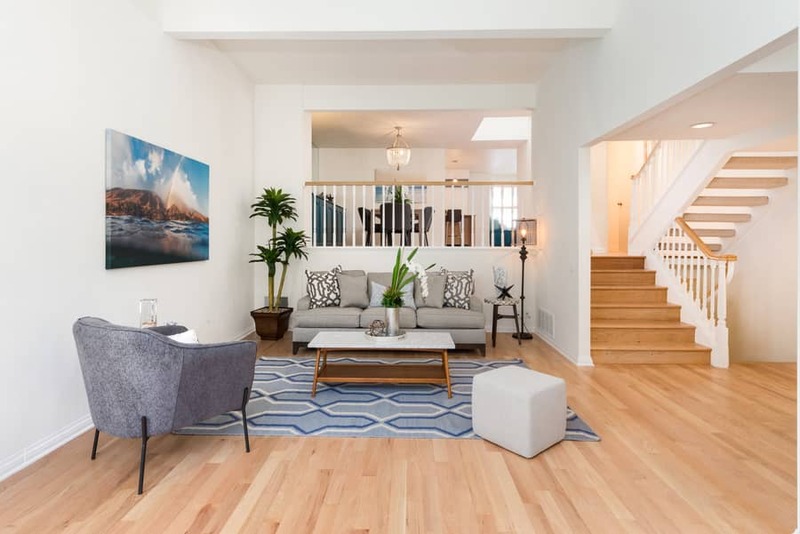 Newly painted and refreshed, this light and welcoming home has cherry floors in the living and dining rooms, updated kitchen with breakfast area and French doors that open to the entertaining patio and garden. 2 BR with wood floors and 2BA in the main house. 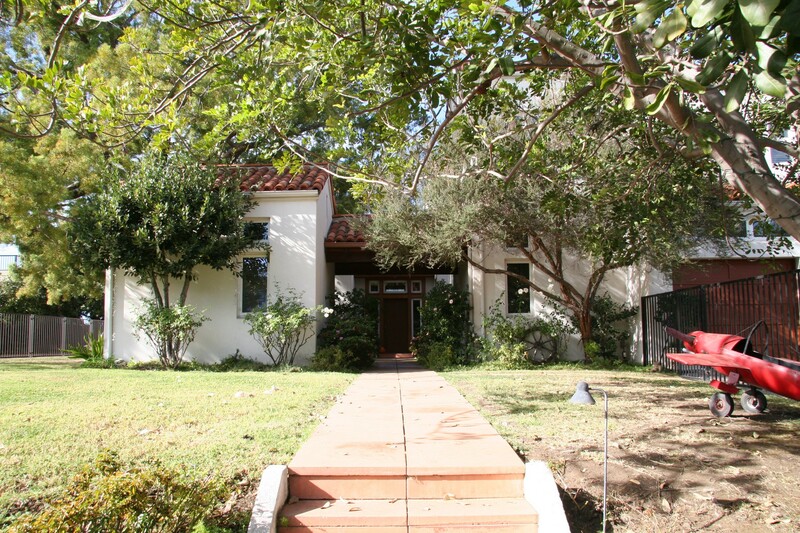 Romantic Spanish on the Via Bluff, close to the Via de las Olas view park and the new Village Center. The gracious floor plan has an open living and dining area, an office which could be used as a bedroom, and a cook's kitchen which opens to the family room. French doors open to the outdoor dining and private yard. This enchanting New England traditional rests in the heart of the Huntington Palisades, with front row seats to the 4th of July Race and Parade. First built in 2003, this elegant home has been updated and enhanced to rival today’s newest construction. This custom home rests on a double lot with lovely gardens, vast lawn space, a pool, and patio area for dining and entertaining. Light, spacious and inviting, it has wood floors, soaring ceilings and walls of glass affording wonderful views of the mountains, canyon and ocean. Detached office. Great location close to the village center. 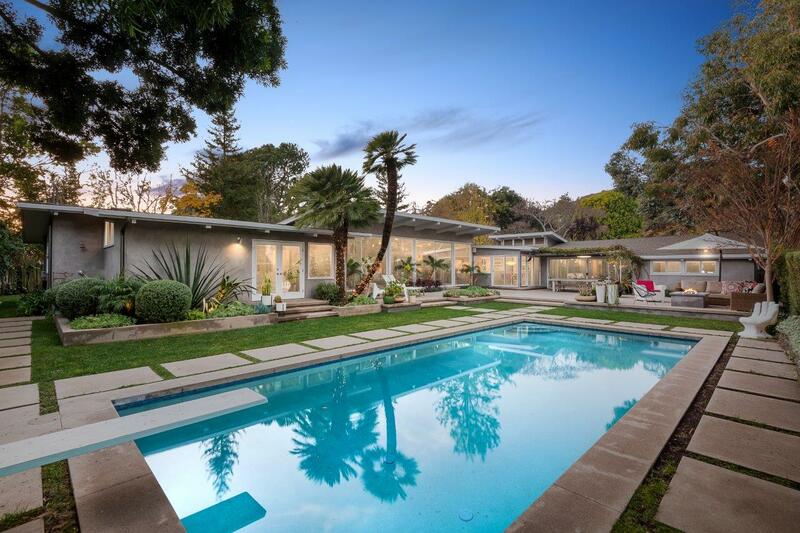 This Mid Century home with a large entertaining deck overlooks magical gardens from almost every room. With inviting spaces for al fresco dining, discreet corners for silent reflection and a gracious lawn for play and lounging alike, this home is all about what the grounds inspire. The Living Room with fireplace overlooks the entertaining deck. The kitchen opens to the dining area. Palisades home for lease near the village, beach, and schools. 3BD + 2BA. Bright and open with French doors in both living room and master that open to lushly landscaped and private gardens. Remodeled kitchen and baths. 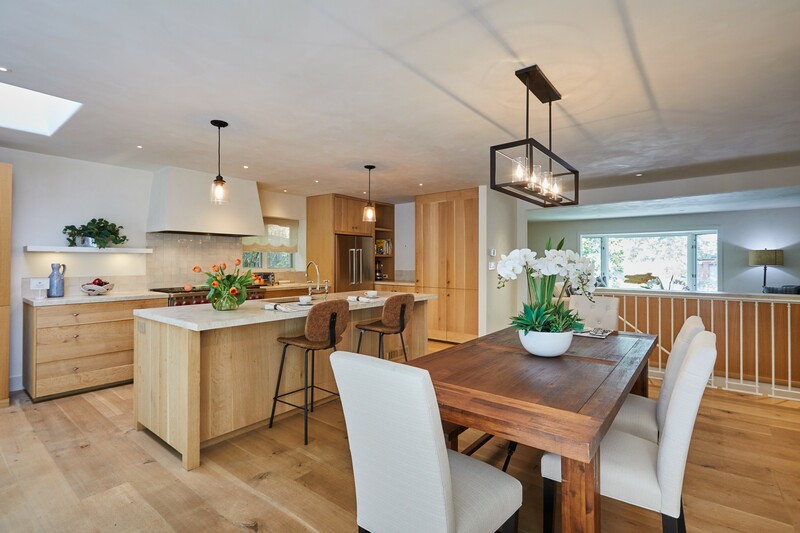 This exceptional home was recently remodeled with a refined, yet casual elegance. A canopy of majestic Sycamore trees distinguishes the quiet lane as one of the Palisades’ prettiest streets. 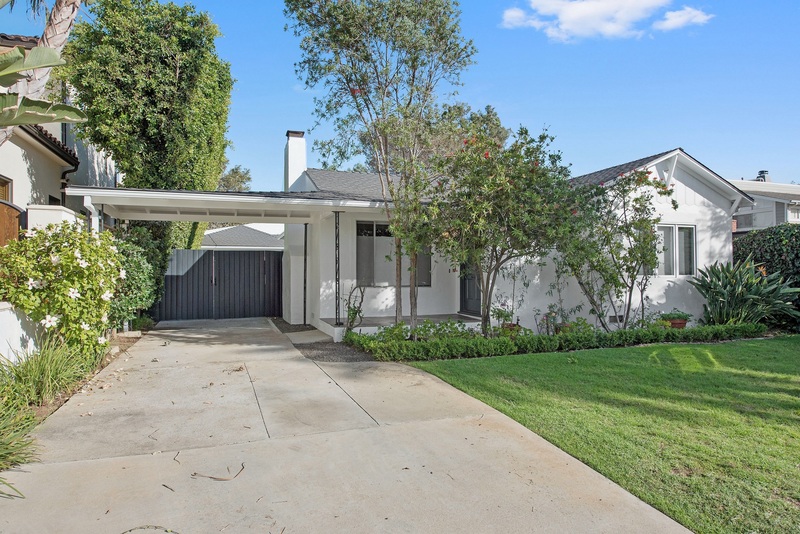 This transformed mid-century home has an open floorplan, graced by large, bay windows which frame the treetop views.